Two acres at the edge of Dry Diggings forest a few kilometres north of Daylesford and very close to Hepburn Springs. 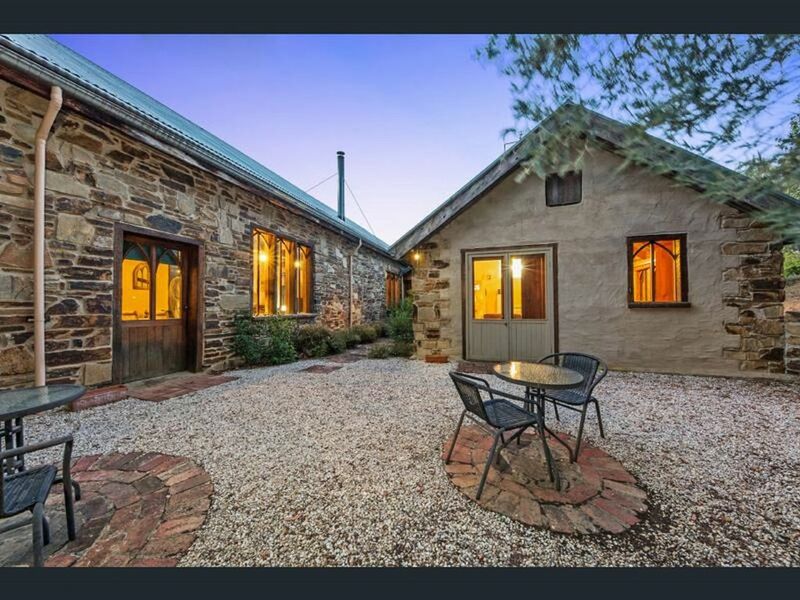 This unique private property is constructed from Castlemaine stone, mud brick and massive century-old timbers. Beautiful English country-style gardens frame the buildings and with the back-drop of native trees add to the idyllic and peaceful atmosphere. Our environment is important so please join us in trying to reduce our carbon footprint. We offer beautiful rain water, green power, eco friendly lighting, wood & gas fires, recycled timbers and stunning features in mudbrick and stone. Eastern Banjo Villa is a private spa villa that is the perfect couples getaway. Featuring cosy lounge with gas log fire, kitchen, large comfortable bed, large corner spa bath and ensuite. 5 minute drive from Daylesford and 3 minutes from Hepburn Springs. We loved our stay at Frog Hollow. Perfect location, cute, quaint, the hottub and fireplace are such nice touches. The owners are so easy to organise everything with also. Thank you for having us we will be back again. When you roll up to these places it just screams charm and character! The unique infrastructure and eco friendly buildings are so intriguing. Large comfy sitting spaces indoor and out and beautiful property to go for a stroll around. Only a few minutes drive to Daylesford!